I’m not sure why this recipe is just being posted for all to see, but it is by far one of my most favorite recipes of all time. I sincerely apologize for the delay in sharing this must have recipe. I love this particular potato salad. It is really nothing like a traditional potato salad, but so much better. I have never been a fan of traditional potato salad, so sad to say I know. However, this variation here is amazing. I take this with me all over and every time it gets such great reviews and comes with an endless number of recipe requests. 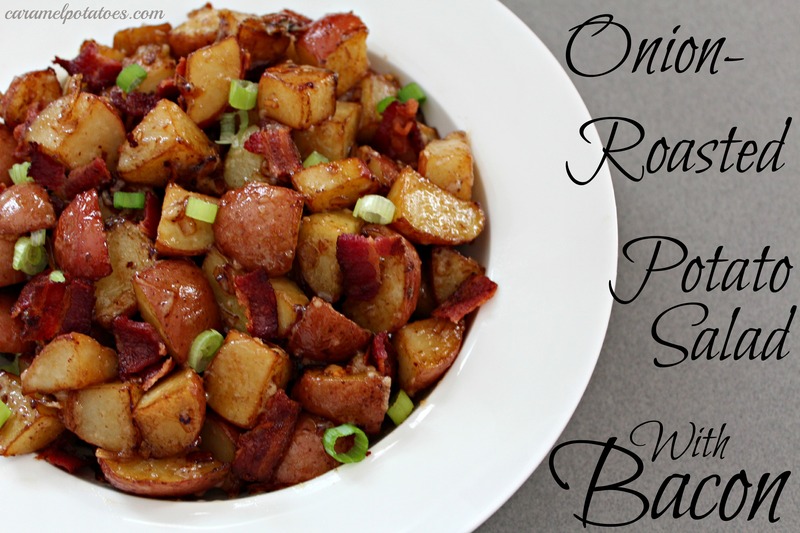 How can you go wrong with Onion-Roasted potatoes and adding bacon to it. I have a long-standing joke with a good friend about my love affair with bacon and potatoes, so of course this is a signature dish. Potatoes and bacon together! Place potatoes on a cookie sheet. Coat with olive oil and toss with Lipton Onion Soup Mix. Roast at 400 for 25-30 minutes, or until tender. Be sure to stir potatoes once or twice during baking. Pour potatoes in a bowl and add green onions, bacon, may and gently combine. Add salt and pepper to taste. Serve while still warm. *You may want to double or even triple this recipe depending on how many you are serving, but I promise it will be a crowd favorite! I have had this potato salad and it is SOOOOO good!! Sounds delicious and hearty too! I bet this is so flavorful! Sounds divine! 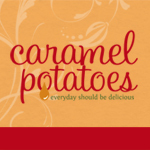 Thanks for sharing at Sweet & Savory Saturdays #28.